As an orchestra teacher I rarely have access to an accompanist. But I see a string orchestra every day. And I’m sure there are bassists out there are looking for something lighter than a concerto to perform with an ensemble. 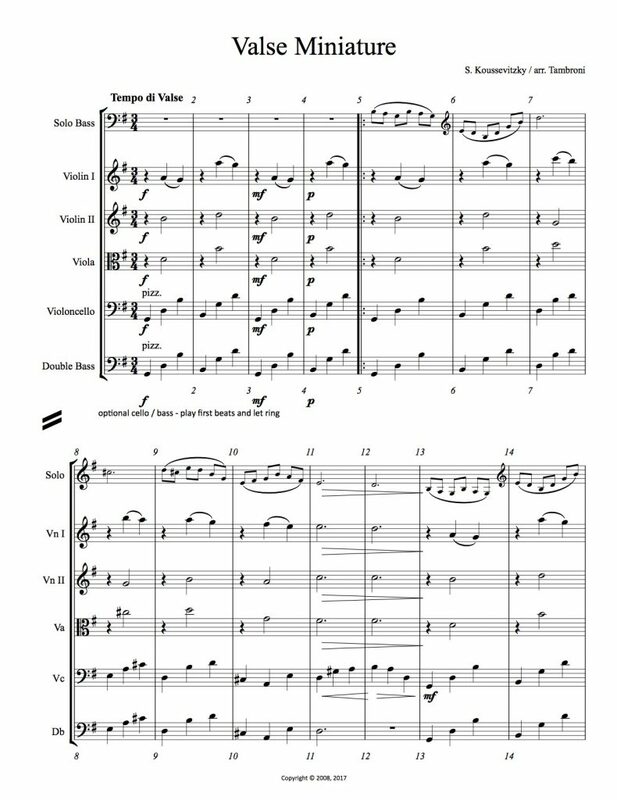 And so I created this arrangment of Koussevitzky’s popular Valse Miniature for string orchestra. I intentionally omitted most ritard / tempo markings as there are many interpretations. 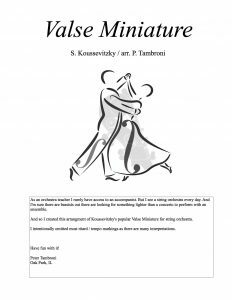 Click here to download Koussevitzky’s Valse Miniature arranged for string ensemble. 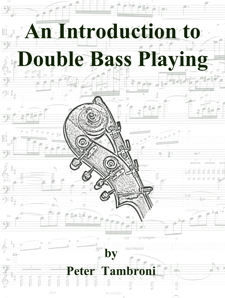 PDF includes score & parts. I’ve done some updates and decided to make this ‘donation ware’. Download it, check it out, and consider giving what you think is fair!